gelatin, microcrystalline cellulose, silica, Capsicum annuum (fruit), cellulose (as ethyl cellulose), Oryza sativa (wax), magnesium stearate, stearic acid, FD&C Blue #1, and titanium dioxide. Take one (1) capsule daily, (in the morning) at the same time each day, or as directed by a qualified healthcare practitioner. Must be taken on a full stomach. For best results take four to eight (4-8) consecutive weeks (1-2 Cycles). Do not take this product longer than eight (8) consecutive weeks. A four (4) week break between cycles is recommended. Consult with a licensed physician before using this product. 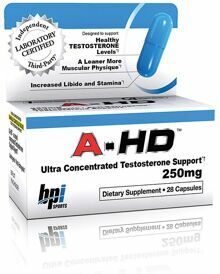 Do not take this product if you have prostate hypertrophy, liver disease, kidney or heart disease, or are being treated for any medical condition. This product should not be taken by women. In particular, those women who are pregnant, lactating or trying to become pregnant, should not take this product. Do not take this product if you have been diagnosed with elevated cholesterol, prostate cancer, testicular cancer or breast cancer, or are under the age of 18. Keep this product and all supplements out of the reach of children. Must be 18 years of age or older to purchase this product. Maltodextrin, silica, natural & artificial flavors, citric acid, sucralose, acesulfame-K, capsicum annuum, and FD&C blue no. 1. Take one (1) scoop daily mix with 8 oz. of cold water or beverage, (in the morning) at the same time each day, or as directed by a qualified healthcare practitioner. Must be taken on a full stomach. For best results take four to eight (4-8) consecutive weeks (1-2 cycles). Do not take this product longer than eight (8) consecutive weeks. A four week break between cycles is recommended. Not intended for use by persons under the age of 18. Do not exceed recommended dose. Do not take for more than 8 consecutive weeks. Get the consent of a licensed physician before using the product, especially if you are taking medication or have a medical condition. This product should not be taken by women. Do not take if you are pregnant, lactating or trying to become pregnant. Keep this product and all supplements out of the reach of children. Maltodextrin, natural and artificial flavors, citric acid, silica, sucralose, acesulfame-K, capsicum annuum, and FD&C red #40. Please read entire label before use. Suggested Use: Take one (1) scoop daily mixed with 8 oz of cold water or beverage, (in the morning) at the same time each day or as directed by a qualified healthcare practitioner. Must be taken on a full stomach. For best results take four to eight (4-8) consecutive weeks (1-2 Cycles). Do not take this product longer than eight (8) consecutive weeks. A four (4) week break between cycles is recommended. Not intended for use by persons under age 18. Do not exceed recommended dose. Do not take for more than eight (8) consecutive weeks. Get the consent of a licensed physician before using this product, especially if you are taking medication or have a medical condition. This product should not be taken by women. Do not take if pregnant, lactating or trying to become pregnant. Maltodextrin, natural & artificial flavors, silica, citric acid, sucralose, acesulfame-K, Capsicum annuum, and FD&C red no. 40. 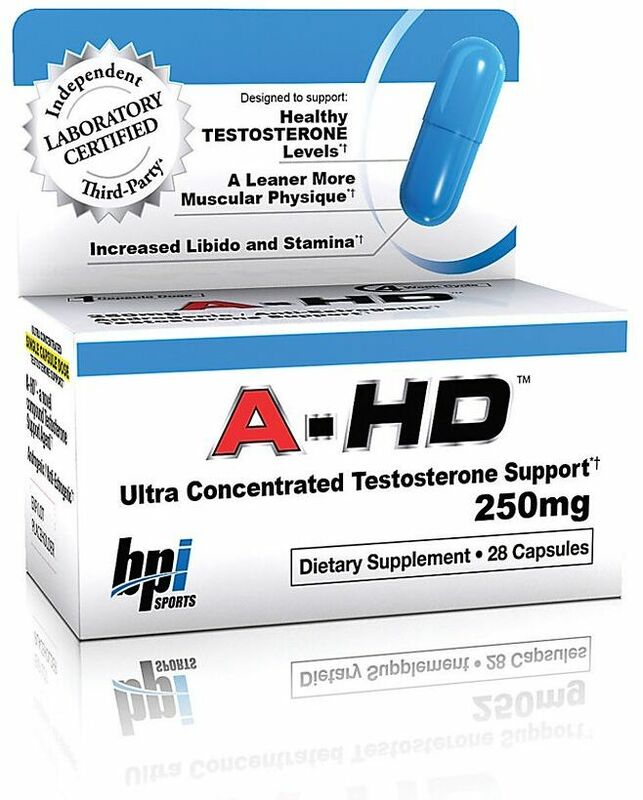 Arimedex HD is a novel compound Testosterone Boosting Agent. A shut down non-prescription Anti-Aromatase Inhibitor that works by blocking/binding to the enzyme aromatase therefore preventing the conversion of Estrogen. It also works by binding to the estrogen receptors and by doing so, prevent harmful estrogen from binding to these receptor sites. ZERO to little Estrogen leads to a harder, leaner, more dry looking physique. No more holding water, no more bloated looks just rock hard shredded muscle. These are used for blocking receptor sites, not to stop conversion of aas to estrogen. When it is already converted, anti-estrogens keep the body from performing this action. The anti-estrogens need to be taken before and at the first sign of receptor activity (gynecomastia), or to supplement with an aromatase inhibitor. Used to block the conversion of aromatizing aas to estrogen, and through binding to the enzyme aromatase, can block the production of estrogens in the body. Bodybuilders everywhere are using this class of drugs during cycles with particular steroids, this will avoid any mishaps to prevent any undesirable hormonal activity. Before any symptoms of aromatization have occurred at the beginning of a cycle, take anti-aromatase. Now available in powder form!